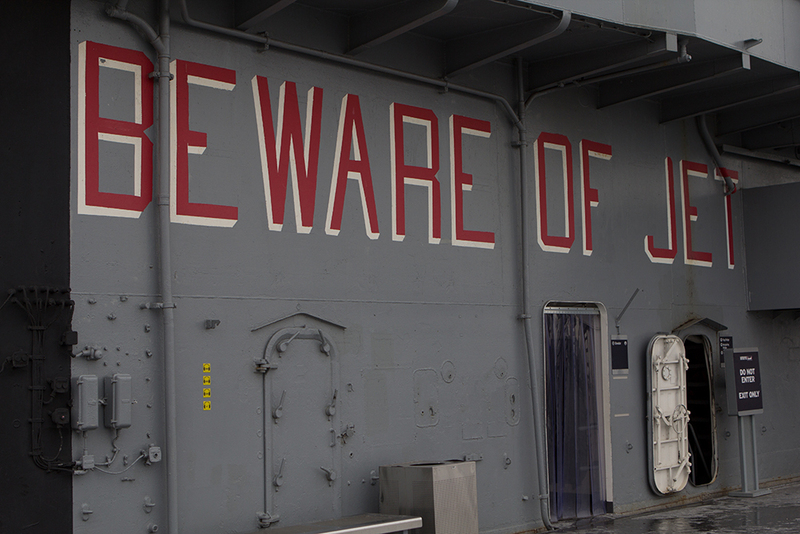 I last visited the USS Intrepid in January 2012. I like to pop in to the museum whenever I’m in New York, as I’ve always been a bit of an aircraft nerd. The downside is that, as the USS Intrepid is a floating museum constructed in World War II (as an aircraft carrier, not as a museum), it’s pretty expensive to visit because maintaining it isn’t cheap. There’s a Lockheed A-12 under here somewhere. 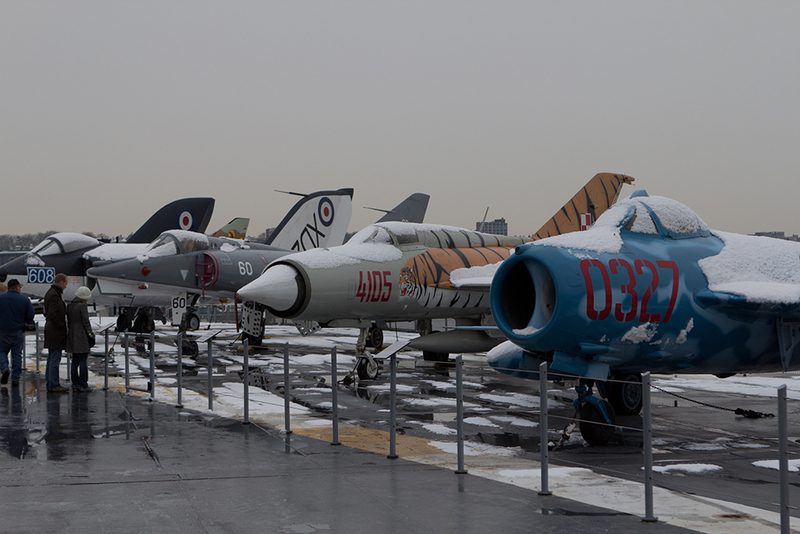 The majority of the museum’s aircraft are on the flight deck. 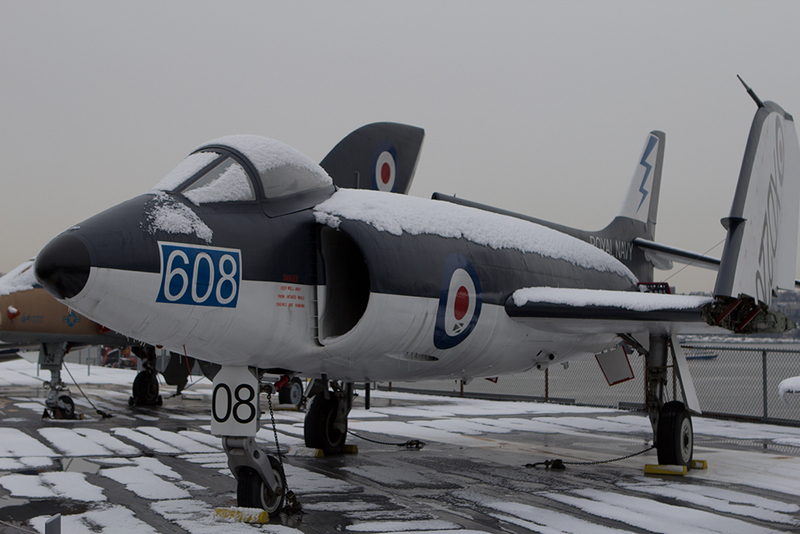 This meant that the majority of the museum’s aircraft were under several inches of snow. The Lockheed A-12, not to be confused with the Lockheed SR-71 Blackbird, which has a similar profile. The A-12 never really saw much use, and the nine which remain are in museums across the United States. 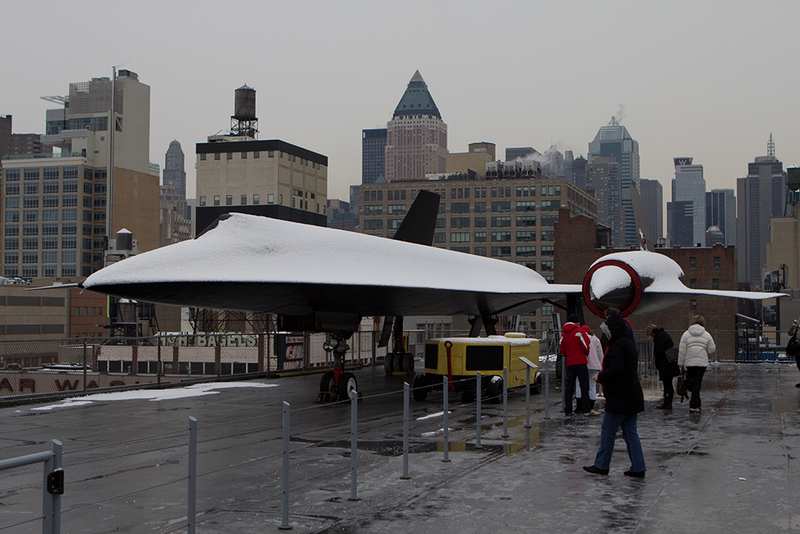 The Intrepid is probably your best chance to see one, and theirs is the first Production A-12 built. 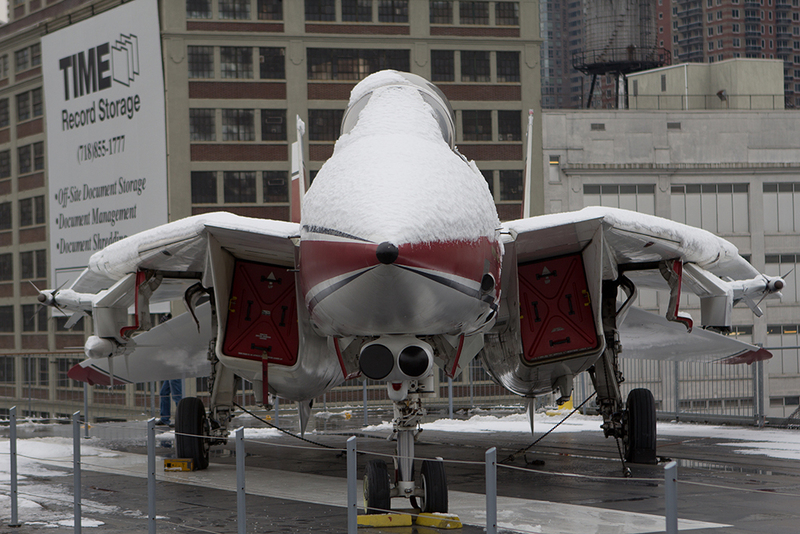 The F-14 on display at the Intrepid is only the seventh ever built. Don’t worry, cats love snow. An assortment of jet aircraft. Lined up across from the A-12 were these superb aircraft. From left to right: a Supermarine Scimitar; a Dassault Étendard IV; a MiG-21; and a Polish-built MiG-17. The Tiger design painted on the MiG-21 is representative of the NATO Tiger Meets it has participated in. This Scimitar is no longer stored at the USS Intrepid, having been moved to the Empire State Aerosciences Museum in Schenectady, NY. Don’t worry, though – if you visit now, you may miss the Scimitar, but you will get to see the Space Shuttle Enterprise instead! The Enterprise’s enclosure was damaged in Hurricane Sandy, but reopens on the 10th of July 2013. 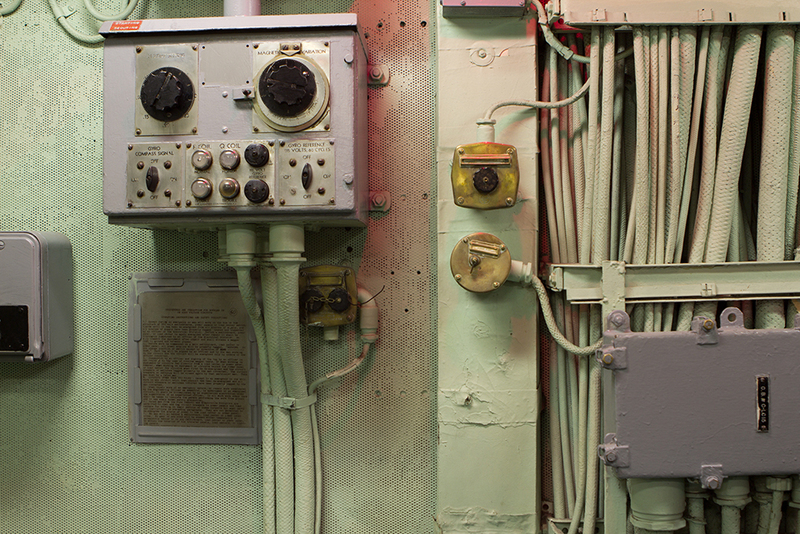 Of course, there’s more to the Intrepid than its aircraft (and submarine, and Concorde, and space shuttle)! The ship itself is also open for exploration. It’s a fascinating ship to explore, too. Everything was designed and built for World War II, and the USS Intrepid was launched in 1943. The aesthetic is mixed, with blank grey boxes and gorgeous brass faceplates mingling together in every room and corridor. 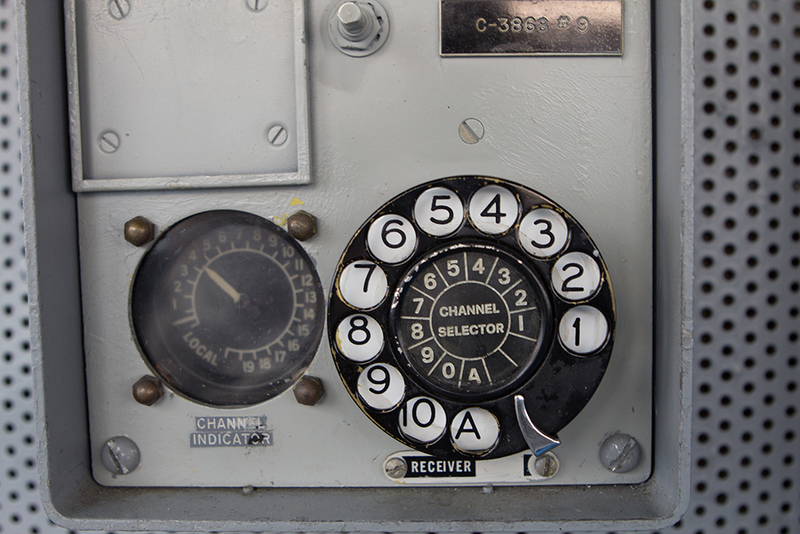 This, children, is a rotary dial. There’s so much more to see than this handful of pictures, and it isn’t hard to spend half a day here if you’re even only idly curious. If you have a more vested interest in Sea, Air and Space vehicles, military and civilian, then the USS Intrepid could steal your whole day before you’ve noticed. The nearest Subway is 42nd Street. Exit, and walk west for four blocks, or take the M-42 West bus. Admission: $24. $31 includes access to the Space Shuttle Pavilion. 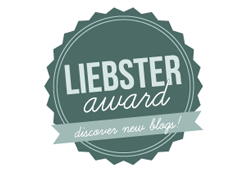 *NB: I might be fibbing.